Sahar has been a journalist since she was 19, when she finished her studies at the school of journalism and then a Bachelor in French Literature and Language, starting as a political reporter at SALAM newspaper, then the only independent reformist newspaper in Iran. She continued social journalism while writing her Human Rights Masters thesis on Comparative Religions and Mysticism. At 24, she became an editor, and four years later, a senior editor. She has worked with top independent and non governmental newspapers in Iran like; Shargh, HamMihan , Neshat, Asr-e-Azadegan, Akhbar-e-Eghtesad, Bonyan and Hamshahri. In June 2006, Sahar presented “The Appearance of the First Women’s Media and NGOs after the Constitutional Revolution in Iran” at an international conference on Iranian Studies at Montreal’s Concordia University. In September 2006, she was invited as a Media and Religion panelist to the International Congress of “World’s Religions after 11 September” in Montreal. After 2006, beside her journalism work and writings, she was a researcher for a book project at California State University of Northridge. She is now (2013) based in Washington, D.C. and is currently director of Iran Programmes at George Mason University’s Center for Diplomacy and Conflict Resolution. 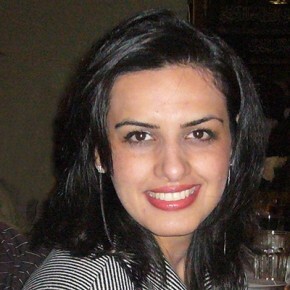 During her time as a Sauvé Scholar, in collaboration with McGill’s department of Sociology, Sahar completed her research on “Iranian Immigrant Women in Canadian Civil Society” focusing on Iranian women residing in Montreal between 2005-2006 and their contributions to Canadian civil society. Addressing the question “Why do immigrant women activists prefer to pursue social activities rather than political activities?”, she concluded that the Canadian government should introduce specific policies to draw women immigrants into Canadian civil society and to develop the relationship between Canadian communities, especially NGOs and Trade Unions, and immigrants. Sahar deeply believes that her Sauvé Scholarship period connected her to the new world of thought, enabling her to follow all her goals and dreams.